Please join us as we celebrate ISLA sixth graders' IB PYP Exhibition! We are excited about a change in the format for this year's exhibition. Student groups have chosen to focus on various UN Global Goals. The exhibition process for students is structured as an inquiry cycle and each week students have focused their inquiry accordingly. (Tuning In, Finding Out, Sorting Out, Going Further, Making Conclusions, and Taking Action) Rather than an open-house format, this year each group will guide visitors through a "tour" of the six stages of the inquiry cycle. Guests will sign up for a tour time slot and be guided through the inquiry process in various locations around the school. Please arrive early as each group's tour will begin promptly at the time indicated. There will also be many exciting activities lead by 6th graders in the gymnasium we encourage you to visit before or after your tour. All are welcome to attend and we look forward to seeing you there! The ISLA Board of Directors invites you to attend its annual meeting on Tuesday, June 20, 2017, at 6:30 pm in the Media Center. We will be electing new members for five open board seats. The Election is by secret ballot. Pursuant to ISLA’s ByLaws, the Election and Nominating Committee has nominated the following slate of five candidates for ISLA’s Board of Directors, serving a term between 6/30/17 and 6/29/20 (unless otherwise noted). Those eligible to vote in this election, as provided by the school’s ByLaws, are all parents and legal guardians of students currently enrolled at ISLA, the teachers and staff of ISLA, and the ISLA Board of Directors. Please join us to vote at the annual meeting, which will be held at the beginning of the Board’s meeting at 6:30 pm in the Media Center. Alternatively, eligible voters can vote on Tuesday or Wednesday, May 30 or 31, during the school day (8:45 am-4:30 pm) in the school office. Meetings of the ISLA Board, including the regular annual meeting, are open, and members of the ISLA community are encouraged to attend the School’s Board meetings. We have sent out flyers to ​the oldest ​siblings at ISLA. Please ​help ​remind your kids to bring in some school supplies such as​ books, pencils and ​pens (Groups of 10),​ blank notebooks, ​folders, erasers,​ pencil boxes, ​pencil sharpener, ​​etc. in good conditions, by May 30th. There will be a box in the main entrance labeled "School Supply Drop." The 2017-18 student transportation forms have been sent home. Please complete one for your family and return them to the ISLA office by June 1. Even if you have transportation for this year, you will need to complete a form for next year. The Hopkins transportation department does not assume that you will need transportation. ISLA will be closed on Monday, May 29th in observance of the Memorial Day holiday. The 6th grade graduation ceremony will be held at 2 pm on Thursday, June 1st. Sixth grade parents and family are welcome to attend. 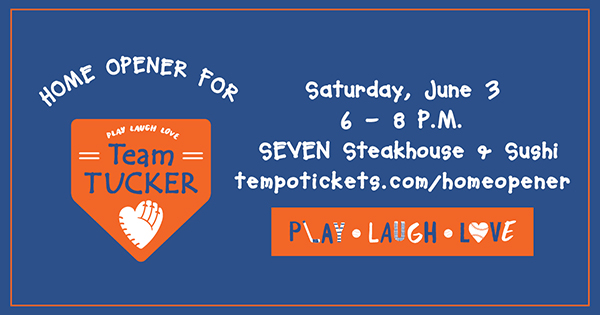 Parents, there is a new nonprofit organization called Team Tucker: Play Laugh Love that honors Tucker Helstrom, a Hopkins boy who died last summer at the age of 9. Team Tucker: Play Laugh Love has chosen to invite all of our students to play baseball for free! 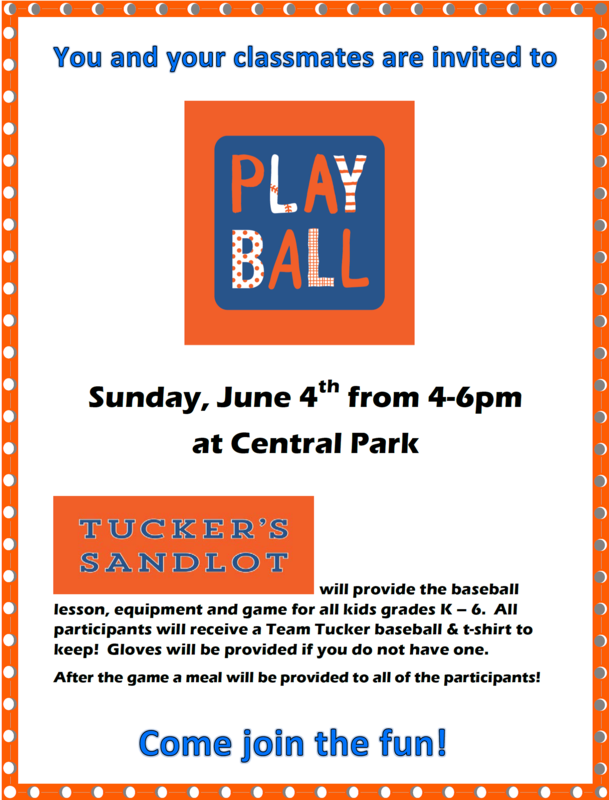 The program is called Tucker's Sandlot and it is taking place at Central Park in Hopkins (next to the Pavilion) every Sunday in June. IMPORTANT: Each player needs their parent or guardian to sign the waiver that is attached. Please send it back to school with your child or bring it to the Sandlot event on June 4th. If you need to be at work and your kids are too young to be at home unsupervised, summer camps that promote physical activity are a great way to keep your children active through the summer. Allowing your children to get together with friends to make physical activity more fun. Providing toys that encourage their activity like a jump rope, bicycle, balls, flying discs, etc. Providing transportation to and from physical activity venues when you can. Engaging in physical activity with your children. This not only makes it more fun for them, it also gets you active as well! Doing anything you can! Studies show children who feel supported are more likely to be physically active. If your goal is to be active at least 60 minutes each day, you are going to need to schedule time for that. If you don’t, the day fills up with your errands and household chores, and kids end up settling in for hours of sedentary activities like watching TV or playing video games. Remember, though, that you don’t need to be active for 60 minutes all in one bout. In order to break it up, you could plan something in the morning and then else something in the evening, when it’s cooler. To mix it up and keep it fresh, try rotating activities each day. Plan each week with your children so everyone gets a say in what you all do. When children are part of the decision-making there’s a bit more buy-in. Playtivities.com has a lot of good activities for families to do together. It doesn't have to be complicated or costly either, hiking in a local park, going to a nearby beach, or walking to a neighborhood farmer's market are always fun. Everything may not go as planned, but do the best you can to keep physical activity a top priority each day and you’ll be giving your kids a better chance to reach their 60 minute goal. Limit your children’s (and the whole family’s) screen time. The number of minutes is up to you, but the American Academy of Pediatrics recommends a limit of 1-2 hours each day. This includes all types of screens including TV, movies, phones, tablets, computers, etc. Kids who are in front of screens more than 2 hours a day have a higher risk of being overweight and may have irregular sleep patterns. Keeping TV, phones, tablets, and computers out of your children’s rooms is a big help. Those who have them in their room spend an extra 90 minutes glued to them than children without. When children are watching TV, set a rule that there is no sitting during commercials. It helps to break up their screen time and limit the consecutive minutes seated. Keeping your activities fun is a great way to ensure your children will be active now as well as in the future. You want them to associate activity with enjoyment. Getting their input is important, but also exposing them to a variety of activities allows them to get a little taste of everything and find which ones they enjoy the most. Whatever you decide to do this summer, be sure to keep it fun and active. Your children will have a healthier, happier summer if you do!